Some people think grass cutting and lawn care are the same thing. For sure lawn care does include grass cutting, but grass cutting certainly does not include all the elements of lawn care. 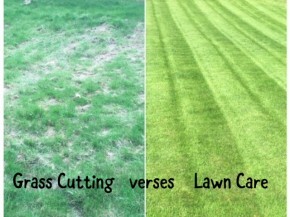 This blog explain why grass cutting and lawn care are different. By using the term ‘grass cutting’, I’m referring to the process of lawn mowing – where no other lawn care tasks are undertaken. Grass cutting is simply cutting a lawn with a lawn mower, and perhaps also trimming the lawn edges neat and tidy. For some people this is all they want to do to their lawns between April and September. There is absolutely nothing particularly wrong with that. Unfortunately, when people rely solely on grass cutting alone, and no other lawn care tasks, what tends to happen in our cool and wet climate here in East Kilbride is the grass in the lawn is consumed by moss, the grass becomes weak and sparse, and then weeds move in. The deterioration in the lawn is worsened if the grass cutting (i.e. lawn mowing) is carried out infrequently and perhaps the lawn is also scalped short all year round. 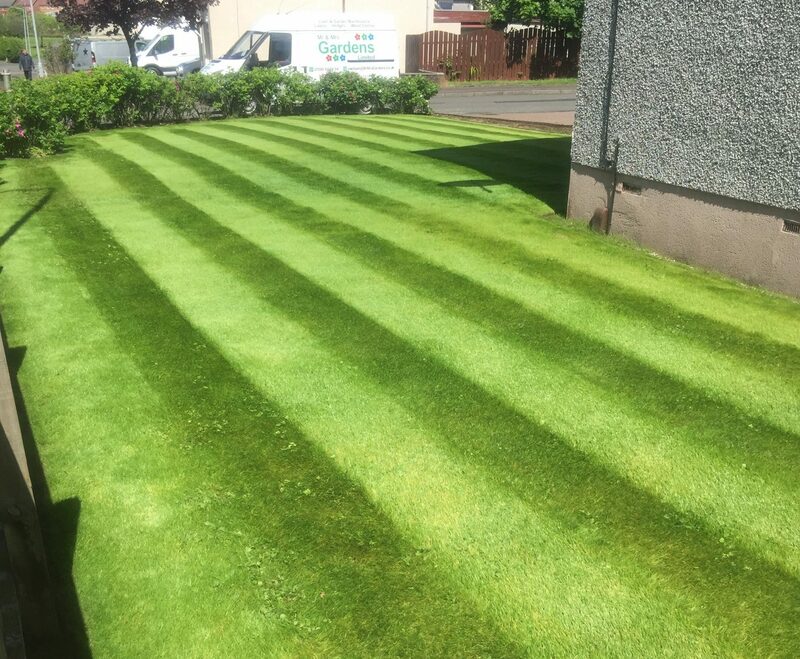 In periods of hot and dry weather (rare in East Kilbride, but it does happen) it’s especially important to raise the height of the mower blades when you are grass cutting / mowing the lawn. Failing to do so can lead to the grass suffering a great deal of stress, and as a result weeds can become the strongest and most dominant plant covering the lawn. 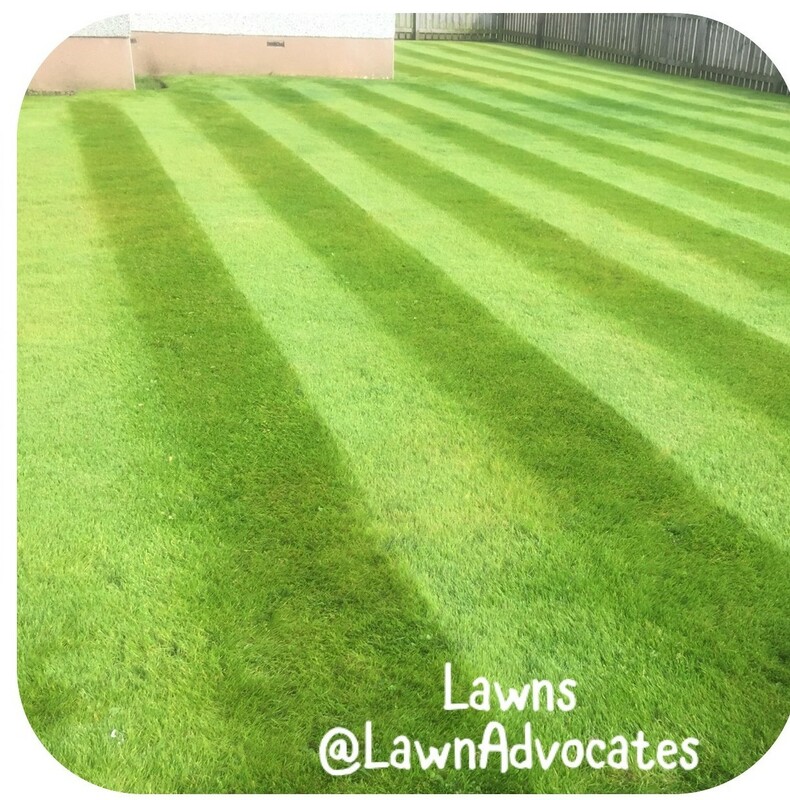 I have seen lawns in East Kilbride where there is very little lawn grass growing at all – in fact, the lawn is mostly just an area of moss and weeds. Again, this might not be a matter of great concern for some people. Simply keeping an area of grass in their garden neat and tidy is all they want to achieve, and for them it doesn’t matter if that area of grass is actually mostly moss and weeds. These areas can be kept neat by simple grass cutting. They might also be improved by good grass cutting techniques, for example: mowing with sharp blades; mowing at the correct frequency (i.e. at least every fortnight, but preferably more frequently); adjusting the mowing heights to suit the weather conditions; cleaning the underside of the mower between cuts, and regular servicing of the mower to ensure optimal performance. However, no matter how many good grass cutting techniques are used, there comes a point when a lawn covered and consumed by moss and weeds isn’t going to get any better. This type of lawn may be just surviving (for now), but it isn’t necessarily thriving. To help a lawn thrive you are going to need to move beyond simple grass cutting and on to ‘lawn care’. As I mentioned at the start of this blog, lawn care does indeed include grass cutting. However, it also includes many other tasks before, during and after the grass cutting process. how much grass, moss, weeds do you have? are there areas of the lawn consumed by weeds and/or moss? 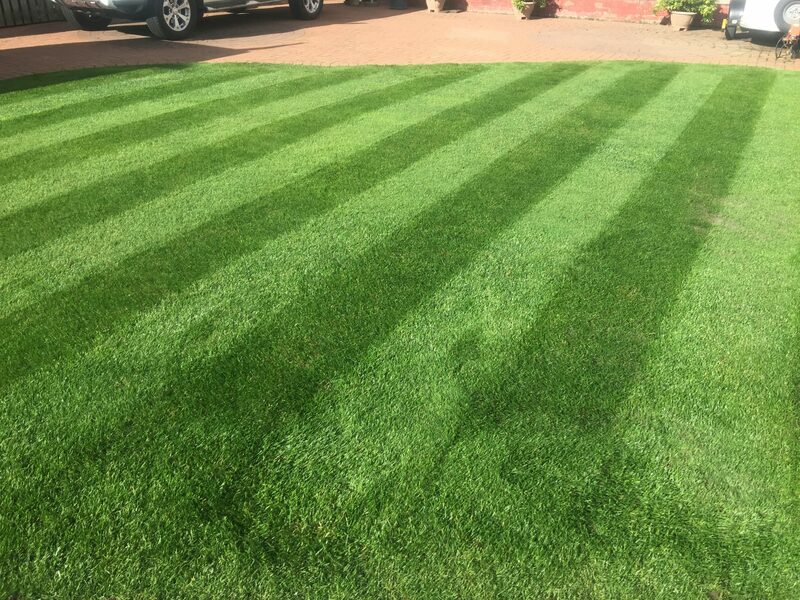 are there areas of the lawn that need particular attention? All of the bullet points in the lawn care section above could be expanded upon in a lot more detail, however that is not the purpose of this blog. 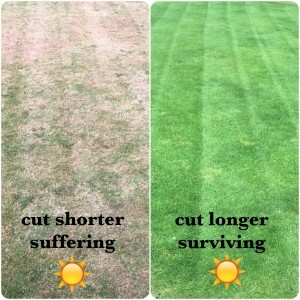 The purpose of this blog was to quickly and succinctly illustrate the difference between grass cutting and lawn care. I think it’s clear, the task of grass cutting does indeed fit into part of the description ‘lawn care’, but grass cutting and lawn mowing are only a very small part of the much broader term and process of lawn care. The purpose of grass cutting at its basic level is to keep the grass at a manageable length, whereas the purpose of lawn care is to encourage strong and healthy grass and soil, which in turn rewards you and your garden with a cooling, oxygenating, soft, green, natural and beautiful area in which to admire, play and relax in. I love lawns and lawn care; can you tell? 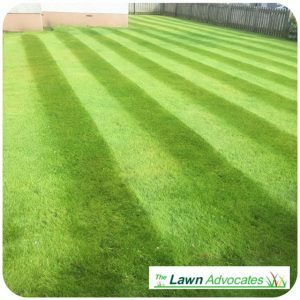 If you need a lawn care service to assist or manage all or just some of your lawn care needs, then please contact THE LAWN ADVOCATES. They can help you with grass cutting or more advanced lawn care services, such as turning an area of mostly moss and weeds into a healthy, good looking lawn.